After being postponed for almost a year, we finally have our first official look at the Andy Serkis directed Mowgli. Mowgli is the latest live action adaptation of Rudyard Kipling’s novel, The Jungle Book, and will be a combination of real actors and motion capture animals. 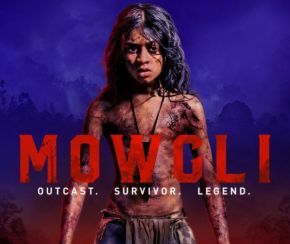 Unlike the more musical adaptations by Disney, Mowgli is set to be a much more serious and realistic take on the tale and much more faithful to the source material. The story will follow the upbringing of the human child Mowgli, who was raised by a wolf pack in the jungles of India. Under the tutelage of Baloo and Bagheera, he becomes accepted by the animals as one of their own, except for the fearsome Shere Khan. This is a similar premise to the Disney movies, however, Disney made their own spin on the story, with a change of allegiance for Kaa the python, who appears as the secondary antagonist in the animated film as a pose to the wise mentor of the novel, as well as the creation the King of the Swingers, King Louis. Whether this take on the story will be as well received is yet to be seen, but it will certainly be interesting to see how it compares, since Disney’s 2016 remake earned itself an Oscar for its technical side and motion capture work. Not a stranger to motion capture, Andy Serkis has played as several well know characters such as Gollum in The Lord of the Rings trilogy and as Caesar in the Planet of the Apes prequel series. He will be starring here as Baloo, the bear. The rest of the star studded cast include Christian Bale as Bagheera the panther, Cate Blanchett as Kaa the snake and Benedict Cumberbatch as the villainous tiger, Shere Khan. The movie will also star Rohan Chand as the young Mowgli. It’s an exciting time for fans of the Kipling tale, with the amount of talent working on it and the incredible visuals on display, this is likely to be a big hit. Mowgli will be released on 19th October 2018.